Laid down, 7 November 1942, at George Lawley & Sons Corp., Neponset, MA. 126k USS LCI(L)-227 anchored in the Finschaven, New Guinea anchorage, 20 April 1944. Other vessels appear to be Australian auxiliaries and transports. 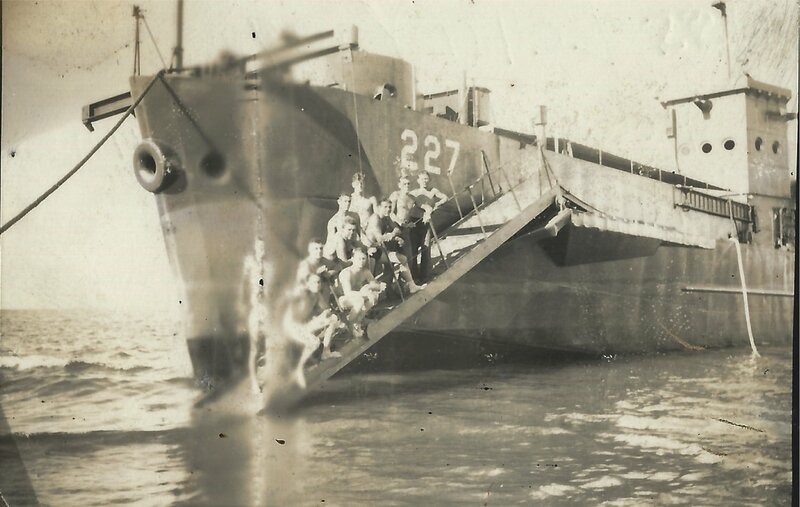 198k USS LCI(L)-227 beached at Cape Sudest, New Guinea, June 1944. 90k USS LCI(L)-227 in port Redcliffe, Queensland, Australia, date unknown. 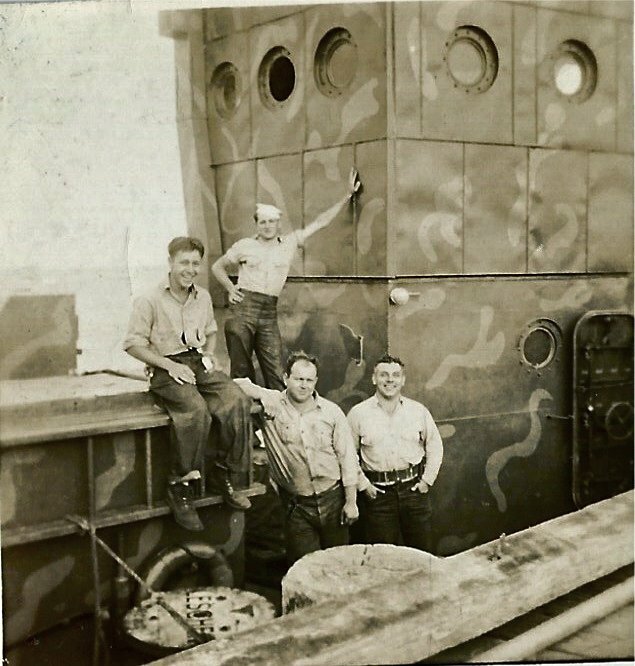 Crew members names on back of photo: "Ramey" (QM2 John C. Ramey); "Fuchs" (SM2 Charles H. Fuchs); "Rogers" (S/1c James E. Rogers; and "Ford" (RM1 Frank S. Ford). 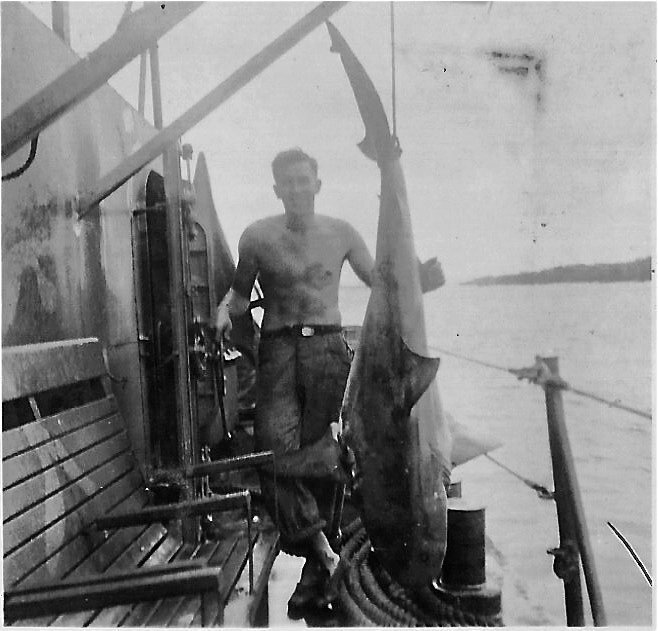 73k USS LCI(L)-227 unknown crew member, date and location unknown. 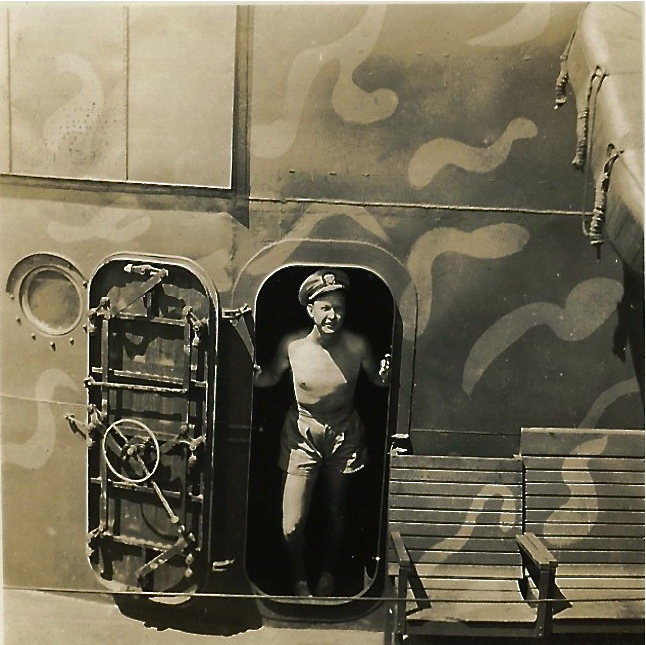 186k USS LCI(L)-227 unknown officer, date and location unknown. 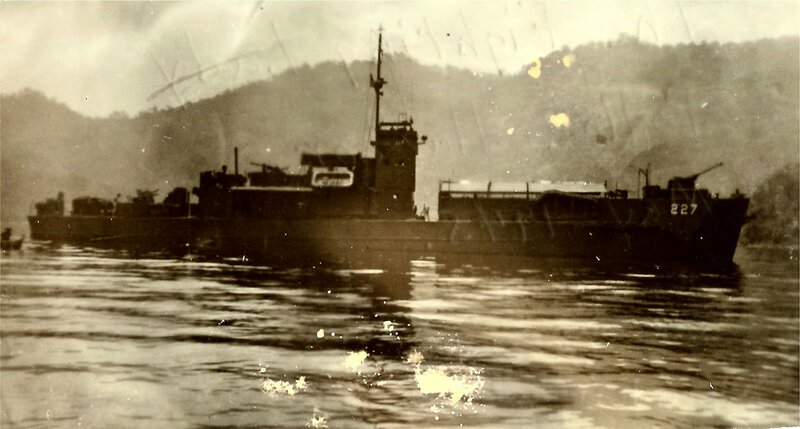 178k USS LCI(D)-227 in Polloc Harbor, Philippines, May 1945. the "D" designation was assigned while she carried combat demolition teams 19 and 21 throughout the invasion of Mindanao and performed various reconnaissance functions for the landing forces in March and April of 1945. In May, she reverted to her "L" designation, but still appears in at least one report that month as "LCI(D) 227".